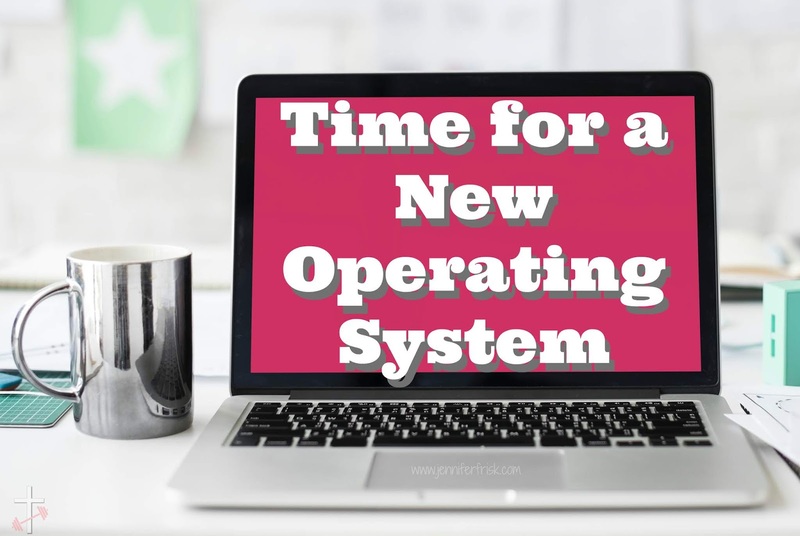 Joy in the Journey: Time for a New Operating System! Time for a New Operating System! I just took a really big step about two weeks ago. I left a job - and the people there - that I truly love. I had been at a hospital for eight and a half years and in my last position there for five. It was home. I enjoyed what I did (more days than not until the end), and I adored the people there. I was good at what I did. So why did I leave? It's not an easy answer, but if I had to answer in one sentence; it would be this: my operating system had a memory leak that I could no longer manage. Ok, so now that I've completely thrown you for a loop, I'd like to really dig into that metaphor for a few days. Can we do that? First off, you may be wondering where the metaphor originated. Well, one of the perks (the best one so far!) of my new job is a longer commute, which means the ability to once again listen to Asbury University's Chapel podcast every morning. (side note: if you're looking for a solid Christian podcast, give them a try!) I was listening to one of the series of chapels, and the speaker likened becoming holy to getting a new operating system. Well, to a nerd like me who works in the IT world, my ears perked right up; and his sermons hit me hard. So I got to thinking. Throughout our lifetimes, we go through several operating systems with our computers - and now our mobile devices. Just in my lifetime, I've used DOS, Windows 3.1, Windows 95, Windows 98, Windows 7, Windows 8, Windows 10, MacOS Maverick, Yosemite, Sierra, iOS all the way up to 11... you get my point (and then some, I'm sure). Anyways, if we go through so many operating systems on our devices, and our brains are basically super computers; how many operating systems should we experience throughout our lives? Before I completely lose those of you still reading, let's define and explain what I mean by an operating system, ok? In a computer or device, an operating system (OS) is the platform on which every program, every accessory, exists. It acts as the translator between each piece of hardware and software to make things run smoothly. It manages resources and controls the way information is received, understood, used, and distributed. In short, it is the lens through which all information is processed. Data is corrupted, and functions stop or simply do not behave as intended. In order to preserve function and prevent data loss, nothing new or different can be added. In short, the system must remain the same forever. A new operating system is implemented. Getting back to the beginning of this post, I had reached the extent of my capabilities within the bounds of my old operating system. I had no intention of allowing my "functions" to stop - for someone with a history of depression, that amounts to nothing short of giving up and crawling in a hole...or worse. I also had no intention of living with the status quo. As such, I made the tough choice to get a new operating system - one that could sustain all of the many demands I would place on it. Over the next several posts, I'm going to dissect at the ways I needed a new OS. Care to join me? Maybe even update your own OS? Something tells me we may be in for an adventure... and there's nothing I like more!